Why are Flood Damage Claims known to be so difficult to resolve? 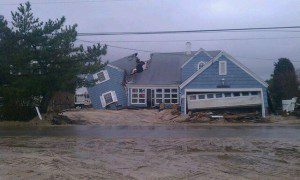 True flood damage claims are not typically adjusted through your normal homeowners insurance company as they are managed and adjusted through the NFIP or National Flood Insurance Program which is run under FEMA. The simple fact that you are dealing with the United States Government explains the difficulty in handling these types of claim. These claims are handled differently than other homeowner claims as they have unique and often confusing guidelines that their adjusters must adhere to. It is difficult for even many seasoned claims adjusters to fully understand how they assess and estimate the damages. 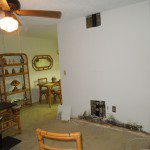 This is the reason why you need a Public Adjuster with experience handling Flood Damage Claims in your corner. When looking for a Public Adjuster to help with a flood claim, be sure to inquire as to their experience with flood claims as many great Florida Public Adjusters do not have the experience or know how to properly adjust and bring your flood damage claim to a fair and equitable resolution. Greg Roover, the owner of Claim Concepts does possess this much needed experience and knowledge in dealing with Flood Claims as he was once an NFIP Flood Adjuster. He knows what should and should not be paid under the policy and how to handle each claim to ensure that the policyholder does recover the maximum settlement for their loss. Free Public Adjuster Consultation for your Florida Flood Claim! Our Florida Public Adjusters know how to properly adjuster your Flood Damage Claim. Don’t settle for less than you deserve, let us fight for your! Flood damage insurance claims can be much more complicated that they appear. There are a minefield of exclusions that can easily result in a claim that is dramatically underpaid or denied if presented improperly to the insurance company. If you have ever been a victim of Flood damage or even seen images on TV you can appreciate the enormously destructive power of Flood Waters. What is the difference between a simple Water Claim and Flood Damage Claims? It is very important that you understand the difference between flood damage claims and water damage claims as their differences are enormous when referring to how the claims will be handled and which company you should contact to file your claim. First you have to deal with Filing a Florida Flood Claim. FEMA Flood Claims are handled through the National Flood Insurance Program. Do you know what it will take to get your property back to the pre-loss condition after suffering a water loss of this magnitude? Did the water wick up your walls? That’s right, it can and does soak up into your drywall which can eventually lead to mold growth. Even 1 inch of water from a flood can cause severe damage to your property! The bottom line is after water damage, property owners often face enormous repair bills and obstacles that can lead to an even larger loss. You don’t have to face your insurance company alone, let Claim Concepts assist you in recovering the largest available settlement with the least amount of hassle. Find out how we can help you with your Flood Damage Claim! Our job at Claim Concepts it to help people like you. Our passion and expertise is to put an accurate dollar value on your loss and fight to recover it from your insurance company. We don’t work for the insurance company, we work directly for you with ONLY your interests in mind…let us fight for you! We are State licensed Public Insurance Adjusters. Greg Roover, the owner of Claim Concepts brings experience working on both sides of the fence, being trained by the Big Insurance Companies he knows how they work, think and act. That’s right, he used to be an adjuster for the other side. His experience working on both sides has helped many property owners achieve the claim settlement that they deserved. Complimentary Flood Damage Claims consultation!